In the market for a new Ford? Looking to buy your first vehicle? Well, then there’s no better time to get behind the wheel of a new Ford like the present, during our 120 Hour Sales Event! We want you all to get a chance at Ford’s incredible Employee Pricing—so we’re having a huge blow out. There’s no need to lose a limb (wait, thats 127 Hours), or your shirt, to get into a brand new Ford. You can save thousands —yes, thousands— on almost all 2018 Ford models. Plus, we’re giving out a $750 cash bonus on most 2018 models. Sometimes deals are too good to be true, but not in this case. Team Ford’s 120 Hour Sales Event is the real deal, but you’ll need to act quickly. 120 hours might seem like a long time, but our inventory is moving quickly. We may have over 400 new and certified pre-owned vehicles on special, but they won’t last long (at least not at these prices). So act now, and benefit from Team Ford’s excellent financing rates as well as Ford Employee Pricing.  This is the best deal you’ll get all year, so swing by Team Ford today and take advantage of this incredible opportunity.